After Effects gets a big performance boost and better integration with Cinema 4D - plus there are new colour tools across AE & Premiere. 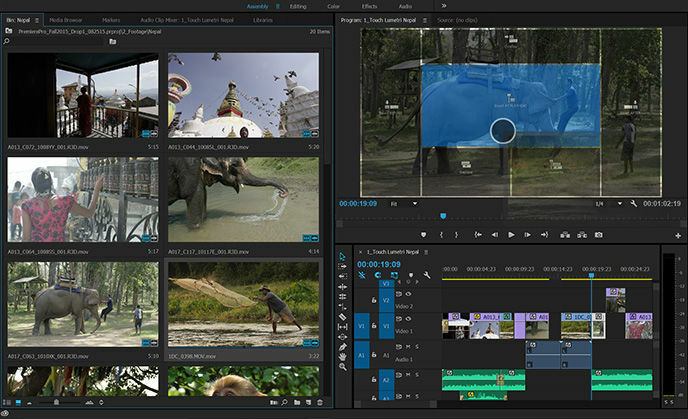 Announced back in April, Adobe has now releasde updates to the video editing and effects tools within Creative Cloud: Premiere Pro, After Effects, Character Animator and Audition. 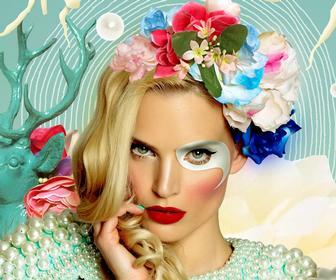 It's also released new Photoshop, Illustrator and InDesign updates. All of the June 2016 Creative Cloud updates are available through the Creative Cloud app, or from Adobe's website. The 2015.3 updates to these tools follows late-2015 updates to AE, Premiere, Character Animator and Audition, which were released in November. This new version of Premiere Pro is officially called Premiere Pro CC 2015.3 as it appears that Adode doesn't think it's enough of an upgrade to be called a 2016 release. In some ways, the next version of Premiere Pro is going back to the old days of offline editing – where you work on lower-quality proxy versions of footage and then conform the original media to your edit by rendering at the end. The next release can work with native footage as before – but if you're working with high-end formats such as the 8K Red Weapon and/or lower-powered devices such as Microsoft Surface Pro 4, you can convert footage to compressed proxies on ingest. Adobe says that you can switch between the native footage and proxies on the same project when you're editing on multiple devices - for example, editing with proxies on a Surface Pro when you're on the move then switching to native clips on your workstation in the studio. It's also boosted performance on Macs and less-powerful Windows computers with support for Apple's Metal graphics language and H264 hardware decoding on Intel Iris graphics respectively. 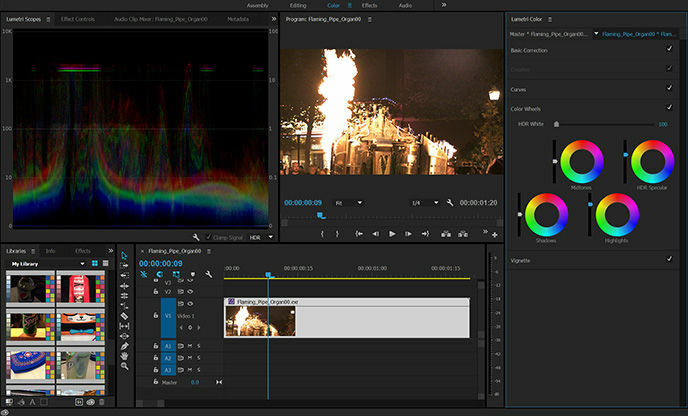 Premiere Pro's Lumetri Color colour correction toolset will be able to adjust specific colours using HSL secondaries. One set of tools here help you select the colours within a shot that you want to change – with sliders to help you refine them – while another allow adjustment. Editors working with VR can watch 360-degree footage through a viewer that mimics what someone watching it would see, cropping it to a field of view that you can pan around in. You can also export footage with a 'VR' flag set so the likes of YouTube will recognise it and display it correctly. Most of AE 2015.3's new tools are 'under the hood', including a new video and audio preview system based on the same Adobe Mercury Engine that underpins Premiere Pro. Adobe says that this provides 'immediate feedback' to changes you make. The Gaussian Blur and Lumetri Colour effects are now GPU-accelerated, so your graphics card will make creating preview and final renders faster. 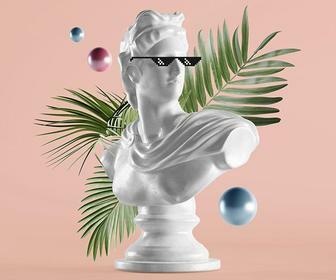 If you work with Cinema 4D – either the Lite version that ships with AE or the full release – you can export animated shape layers and text from AE into Cinema 4D, and changes made in C4D are automatically brought back into AE. Adobe has demoed using this to quickly extrude text in 3D. 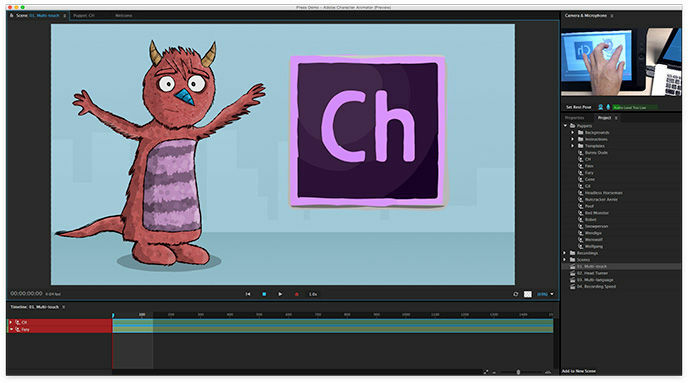 The next version of Character Animator features the new Tag panel. 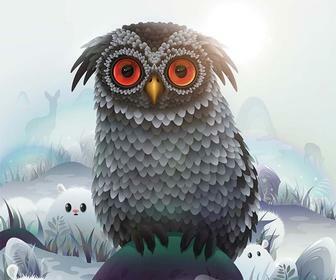 This lets you create and apply alternative versions of animations to produce less robotic-feeling characters. You also have more control over the relationship between a child element and its parent – for example a lower and upper part of a leg. 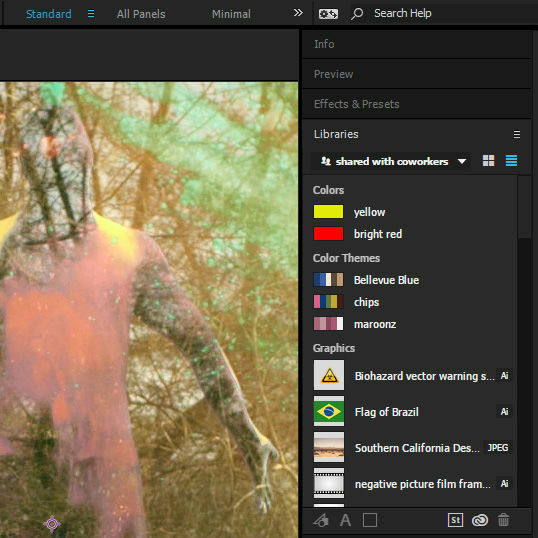 And you can export animations directly using Adobe Media Encoder. The main new feature of the next version of Adobe Audition is the Essential Sound panel. This is essentially a stripped down version of the software that's designed to make it easy for those who aren't audio specialists to balance volume levels, fix common problems and make audio clearer. Across Premiere Pro CC and After Effects CC, Adobe is giving you access to royalty-free video and photos from Adobe Stock from within the applications. As in Photoshop, Illustrator and InDesign, you can search and download watermarked footage and images from within the tools to experiment with – and then licence the ones you choose to use when you’ve finished. These appear in the shared Creative Cloud Libraries that were added to Premiere and AE in the last update.